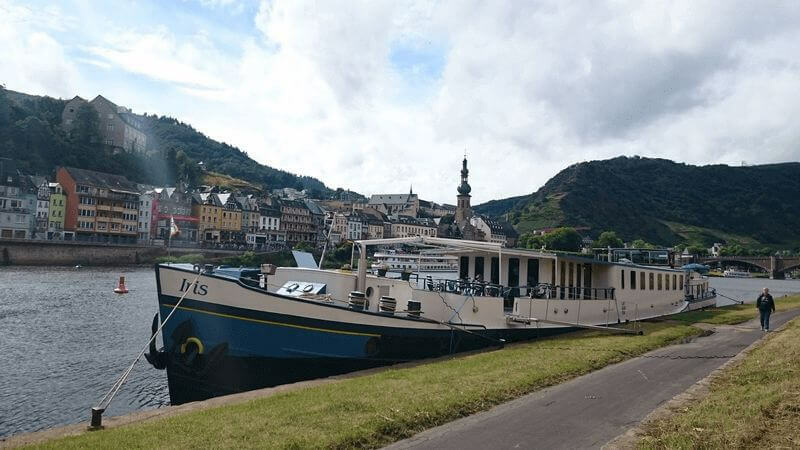 It is possible to combine two beautiful tours to create a particularly diverse 15-day boat and bike holiday on the Patria. 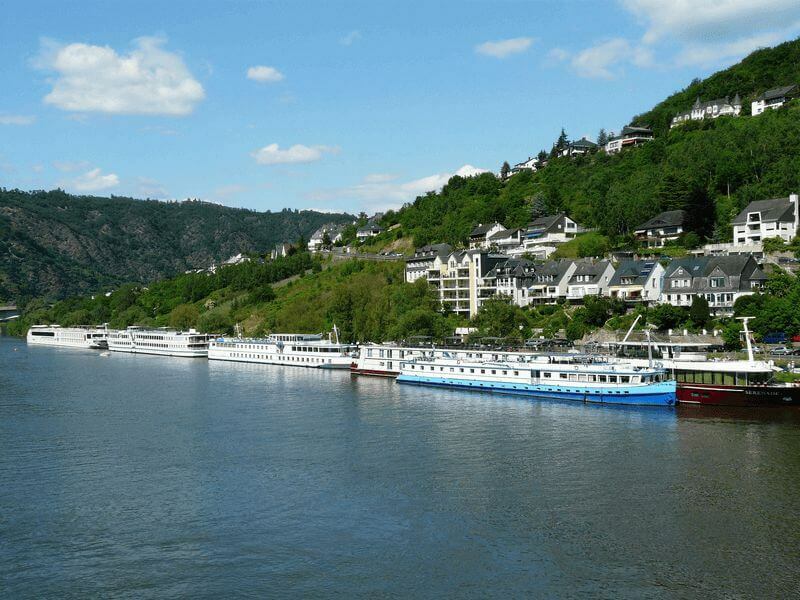 The journey along the Moselle and Saar Rivers takes you from Koblenz to Saarburg; the return trip taking place the following week from Saarburg back to Koblenz. 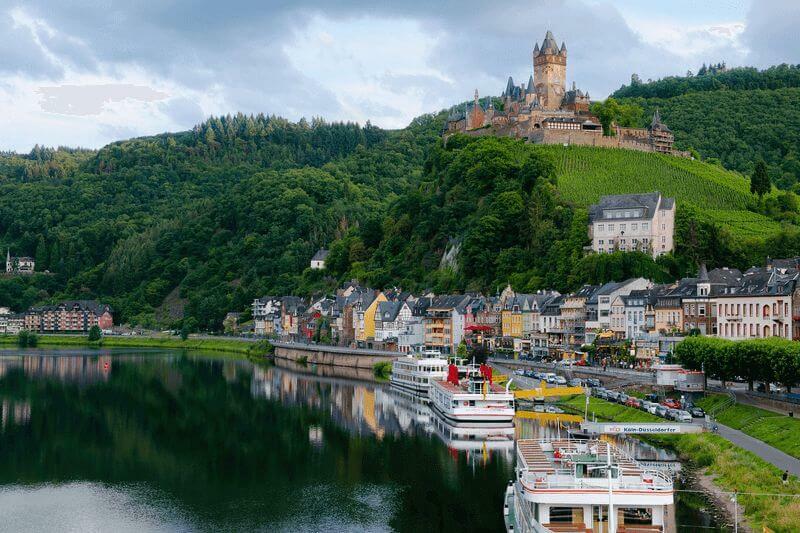 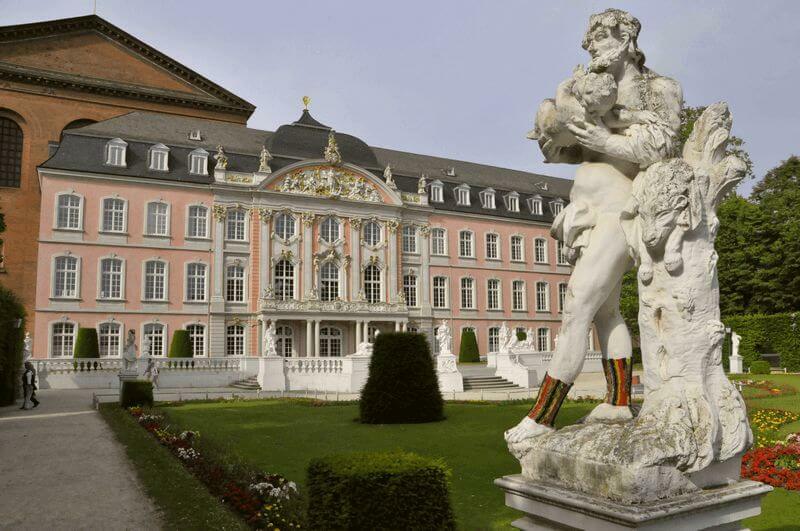 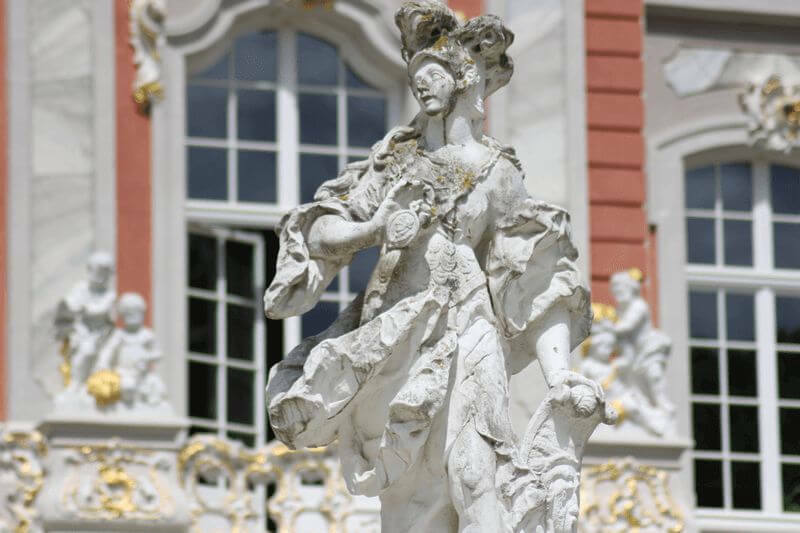 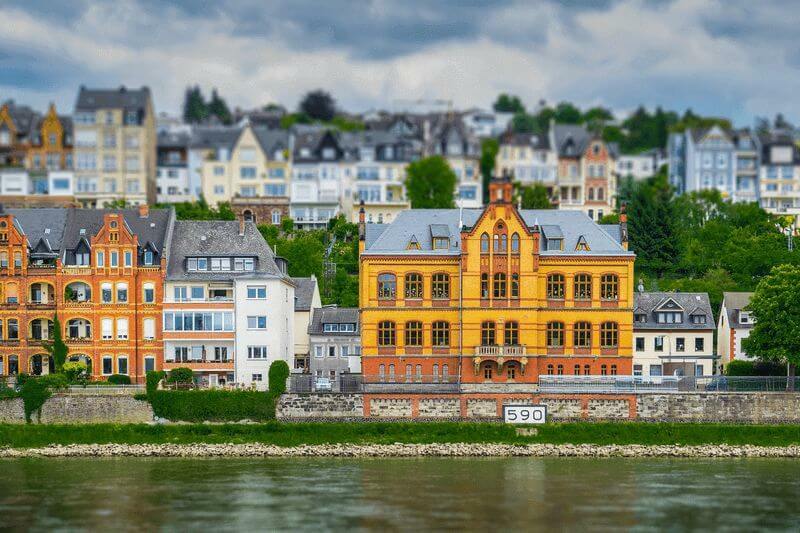 On various dates the Patria also sails along the Rhine and Neckar Rivers from Koblenz to Bad Wimpfen and returns a week later, with highlights including the fascinating cities of Heidelberg, Worms, Mainz and much more. 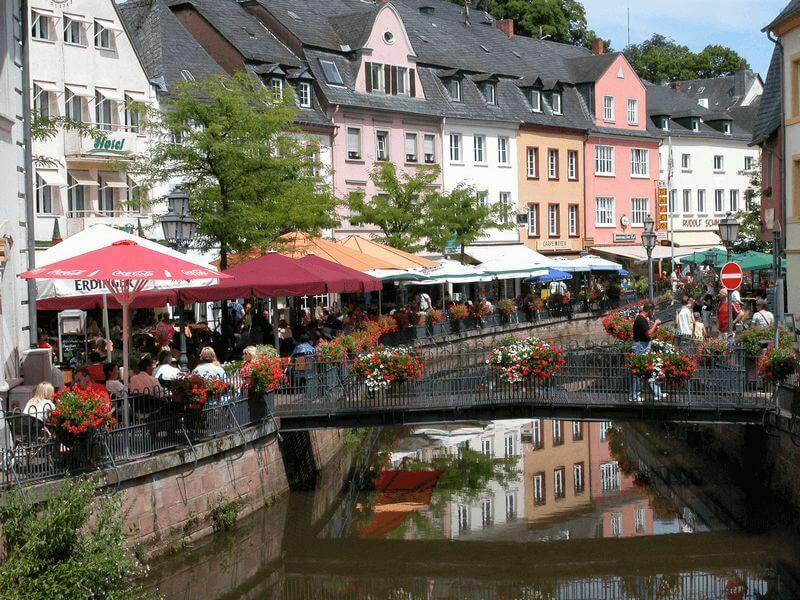 The Patria awaits you in Saarburg where the crew will welcome you on board from 4 p.m. You will spend your first night and evening in Saarburg, a welcoming city that you are encouraged to explore. 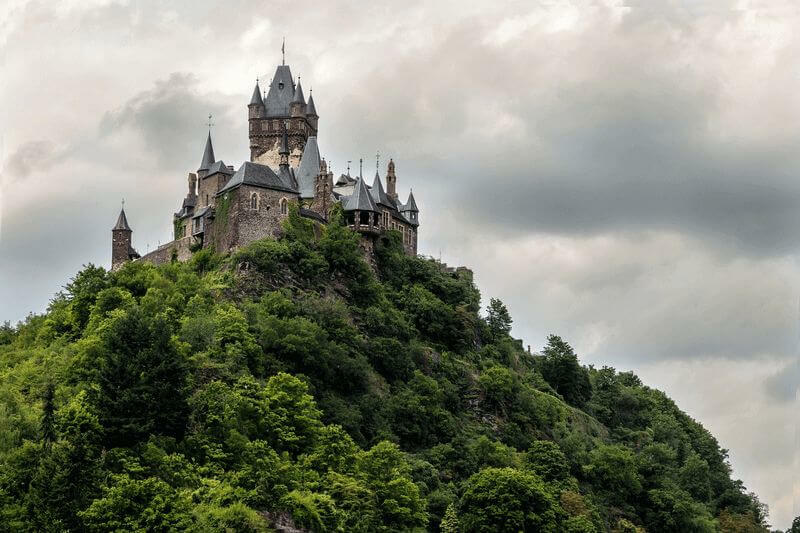 Highlights include Saarburg Castle (Saar Castle), a massive complex mentioned in official documents as early as 964, the Saarburg Waterfall on the River Leuk and many historical buildings. 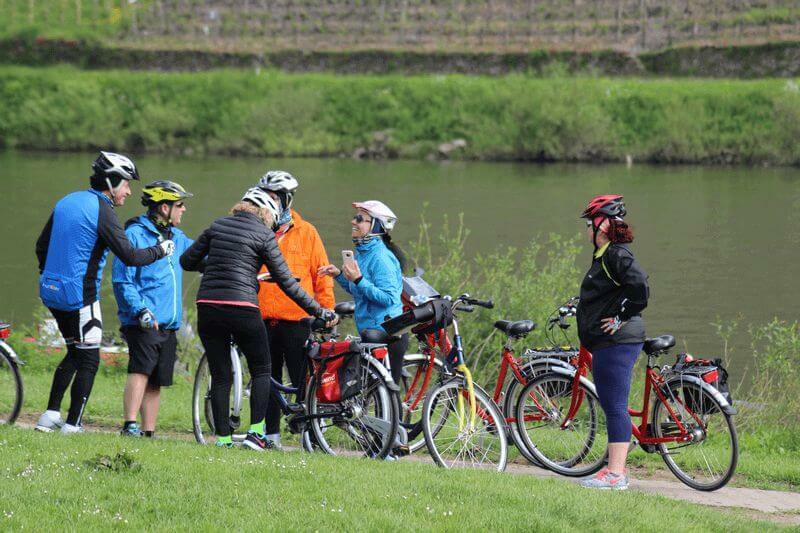 You will be officially welcomed on board by the captain and crew at 6 p.m..
After the distribution of bicycles, your first day of cycling will see you pedal from Saarburg along the idyllic nature reserve of the abandoned meander of the River Saar. 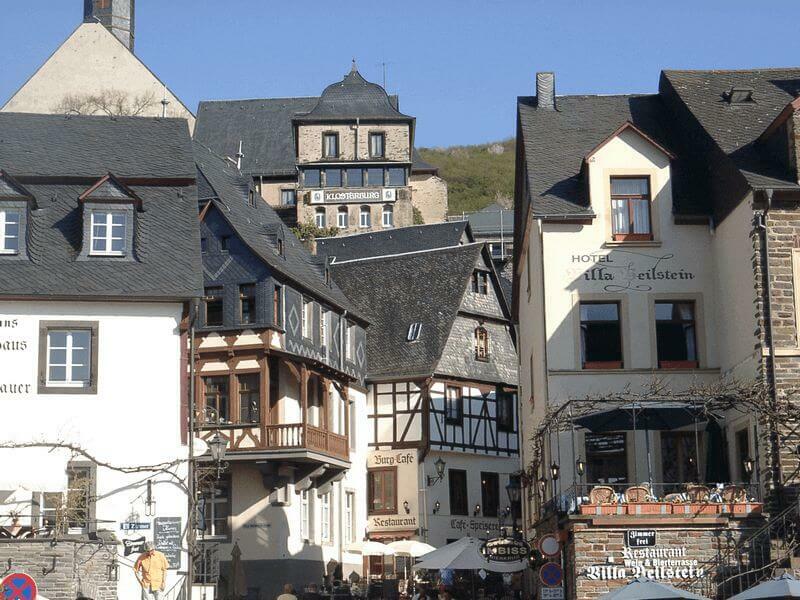 Continue to Wasserbillig in Luxemburg and from here to the “Igeler Säule”. 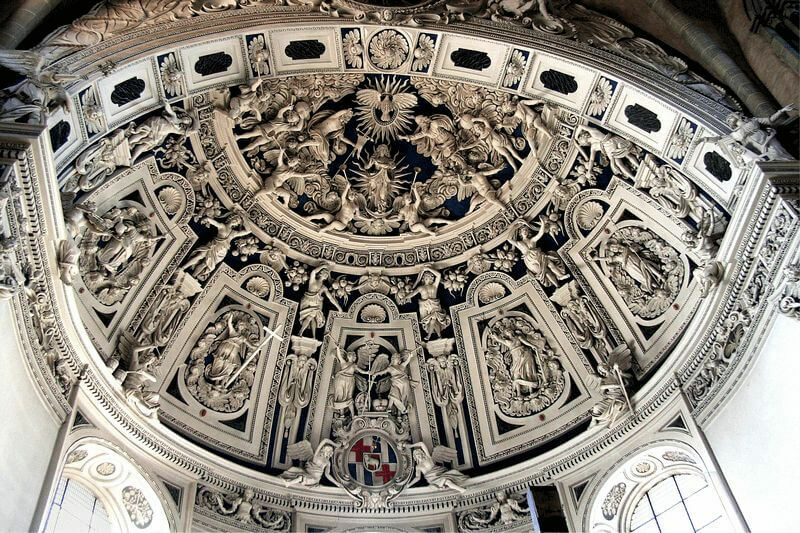 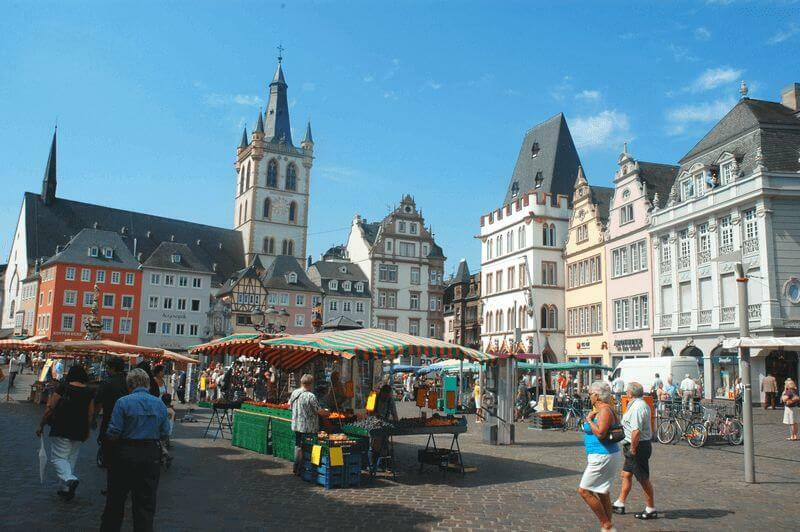 Later you will reach Trier, your destination for the day, where the Patria will be waiting for you. 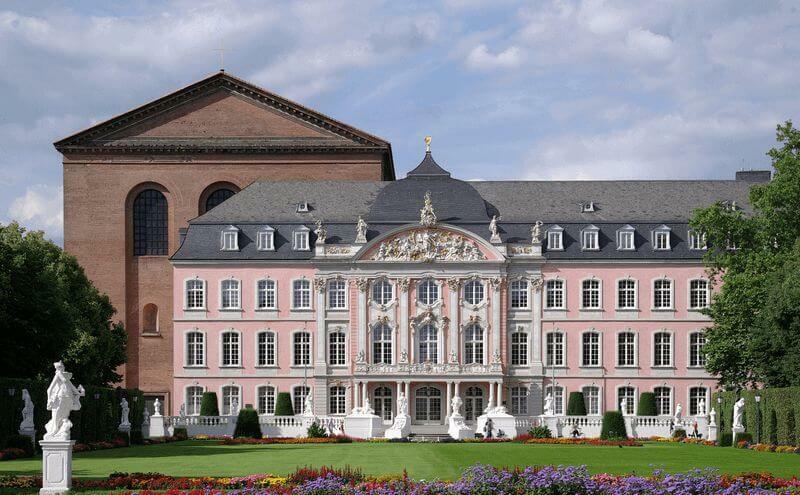 If you are interested you can book a guided city walk in Trier (not included). 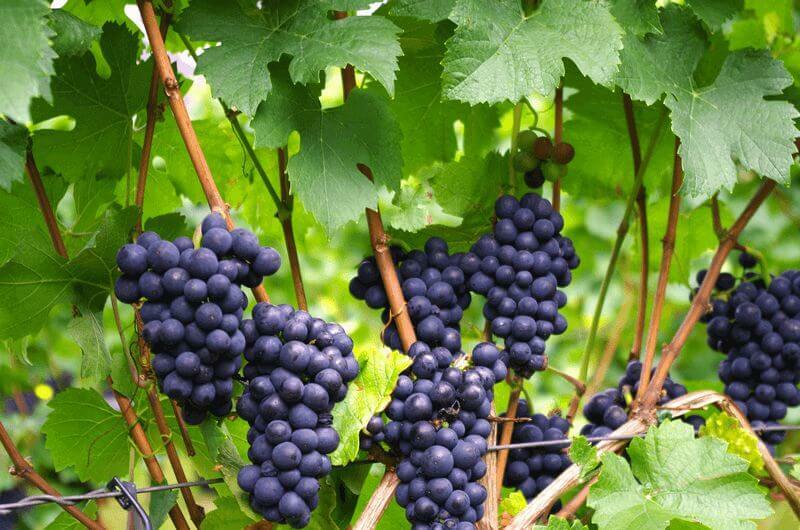 A walk through the 16 B.C. 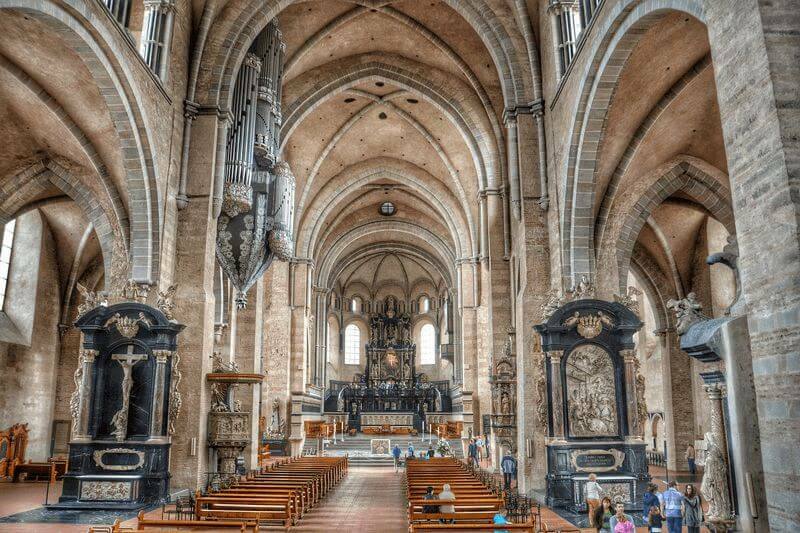 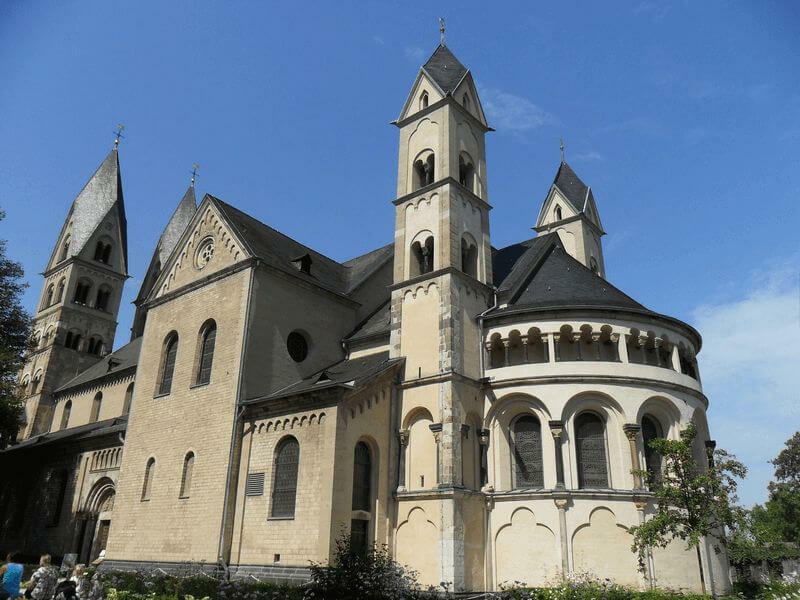 founded Trier is an overwhelming journey through the millennia, with no other place in Germany able to give you a better chance to experience the time of the Romans. 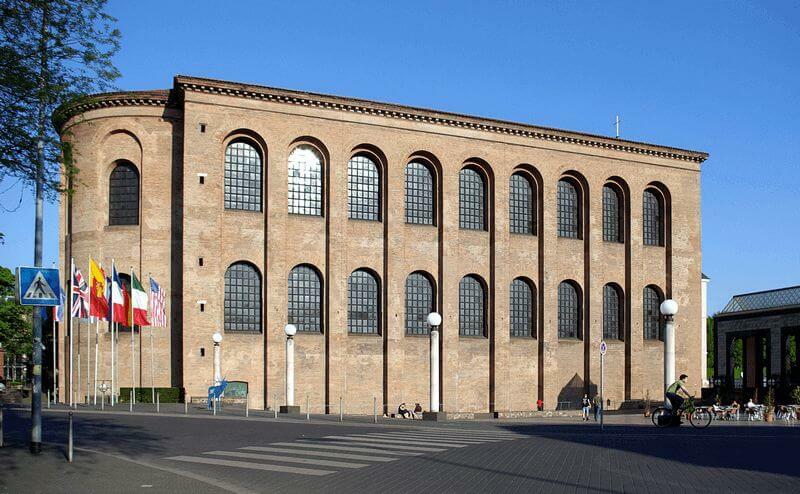 Highlights include impressive structures such as the Porta Nigra, the Konstantin Basilica and the Roman Amphitheatre. 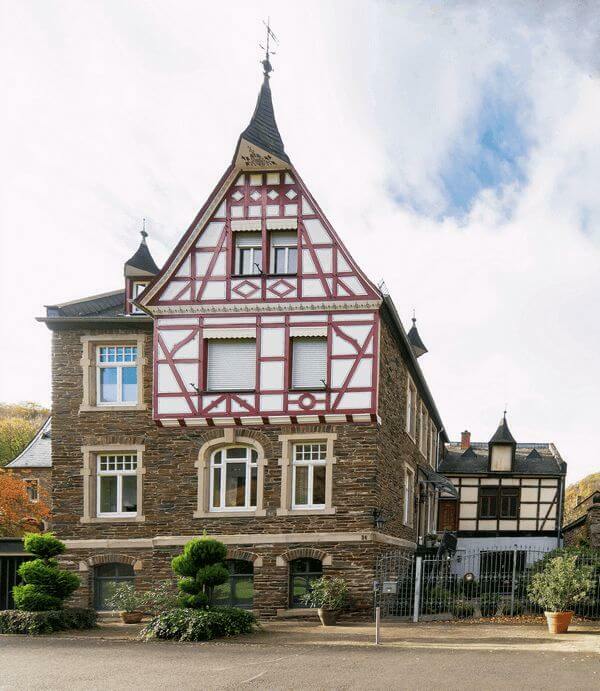 After breakfast you will cycle from Trier via the charming village of Pfalzel to Mehring, famous for its white wine and home to the largest winegrowing community in the Moselle-Saar-Ruwer region. 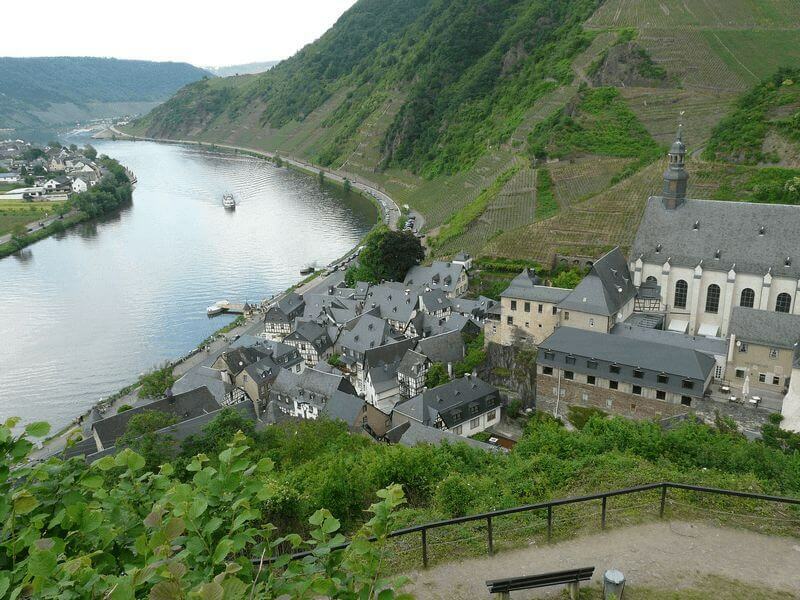 You will reach Bernkastel-Kues by bicycle. 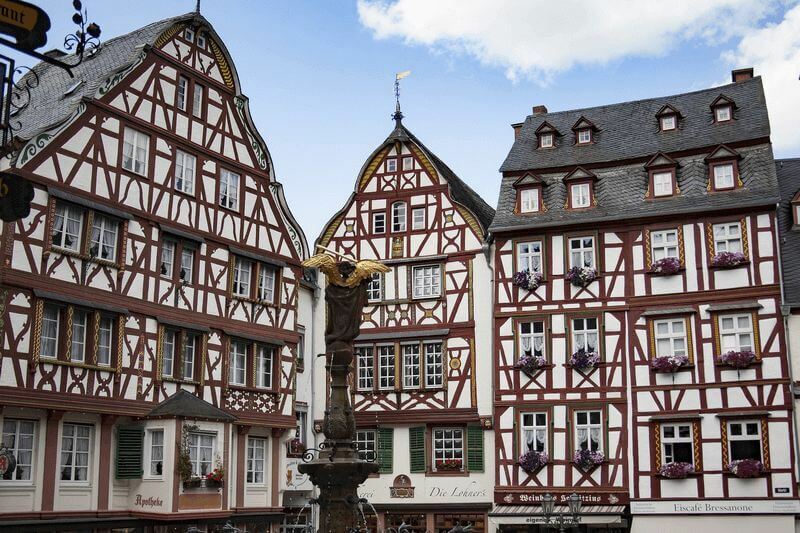 The market place from the Middle Ages with many wood timbered houses invites you for a rest. 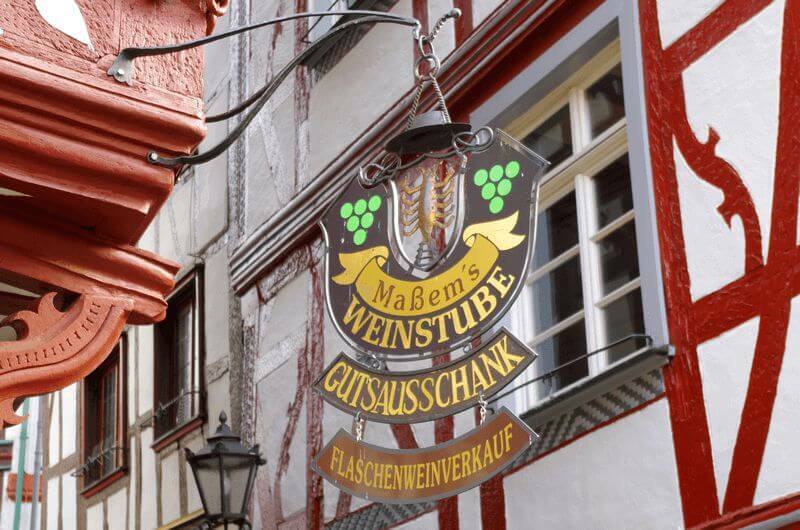 On your way you come to Neumagen-Dhron which is the oldest wine city of Germany. 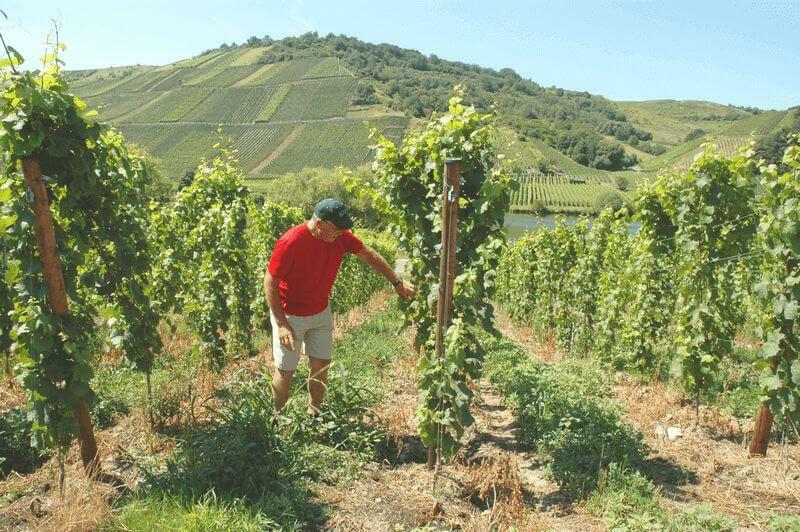 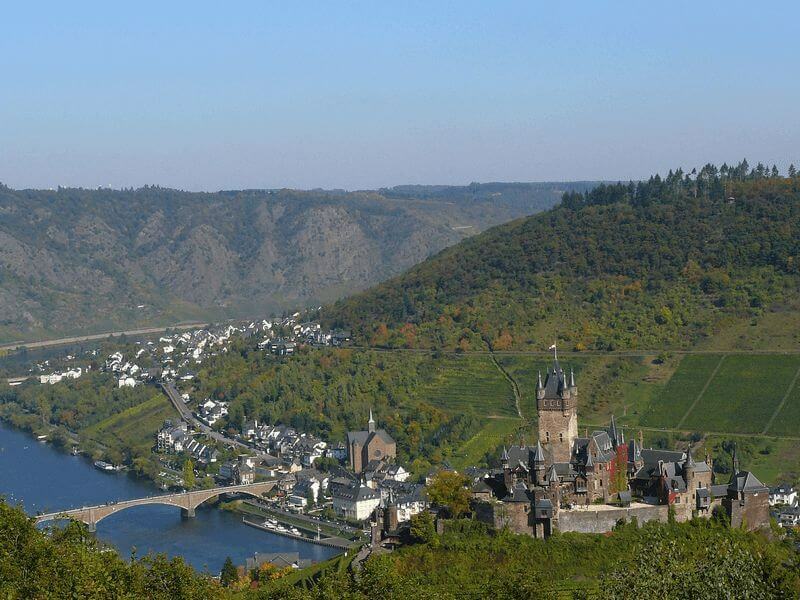 Further on you reach Piesport, the oldest winegrowing community along the Moselle. 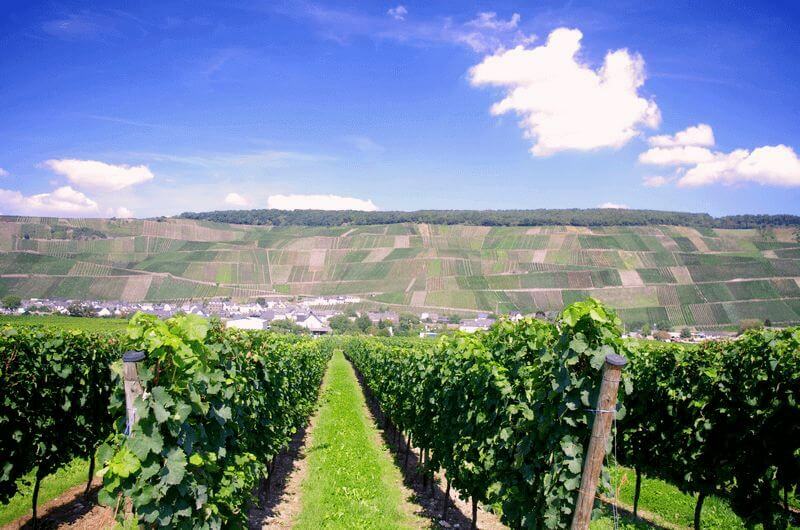 Here is the largest ever found Roman wine complex North of the Alps. 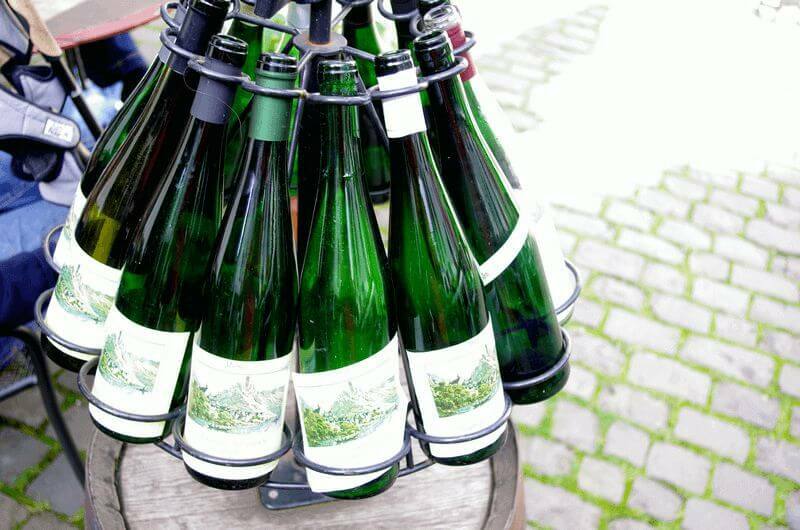 You should take the time to enjoy the popular wines. 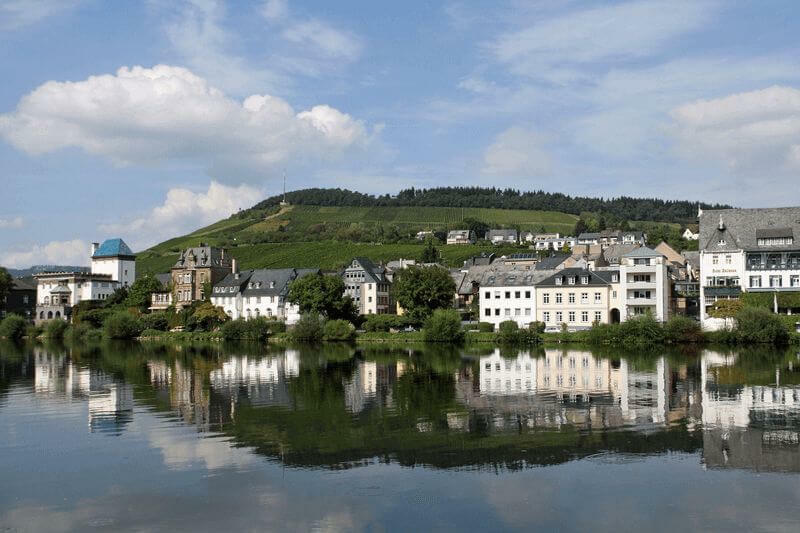 After breakfast your final day of cycling will see you pedal to Alken, one of the oldest cities on the Moselle, where the Patria will be waiting for you to sail to Koblenz, where you will spend your final night on board. 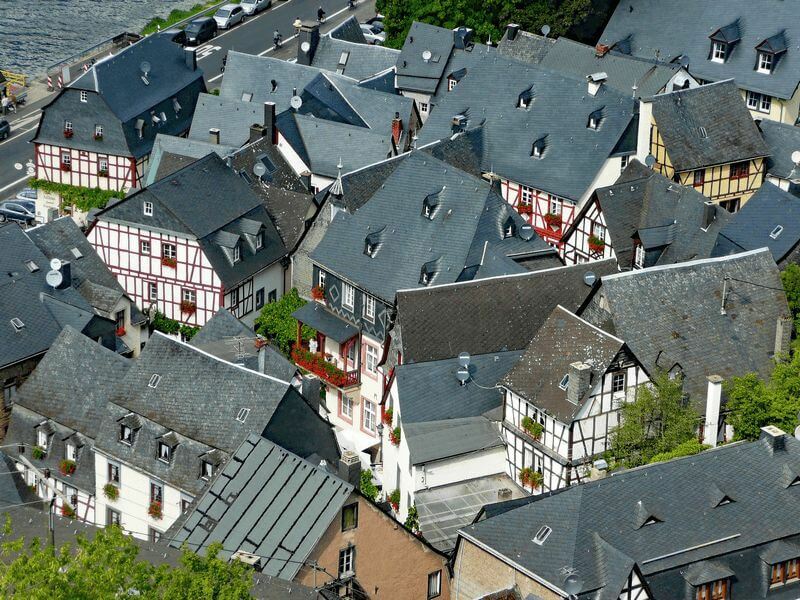 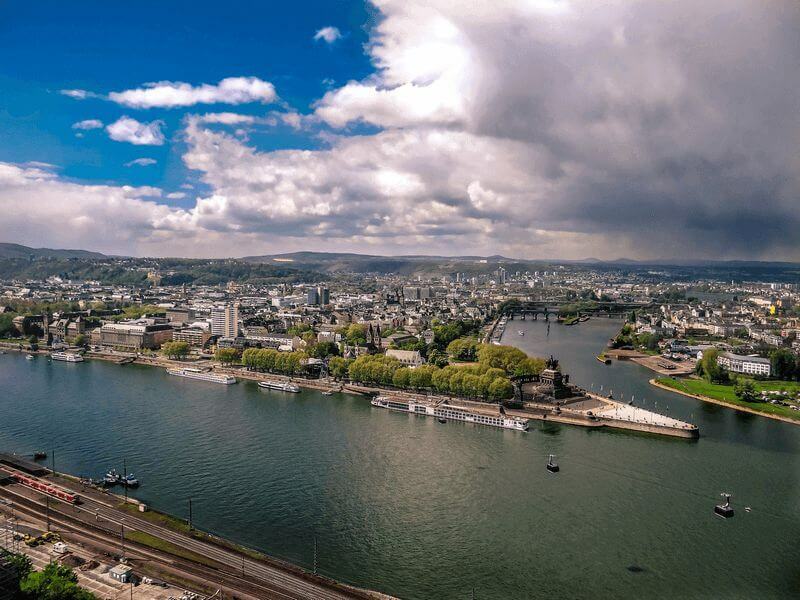 Koblenz, a fascinating and historic city, has been an important defensive and economic center for centuries. 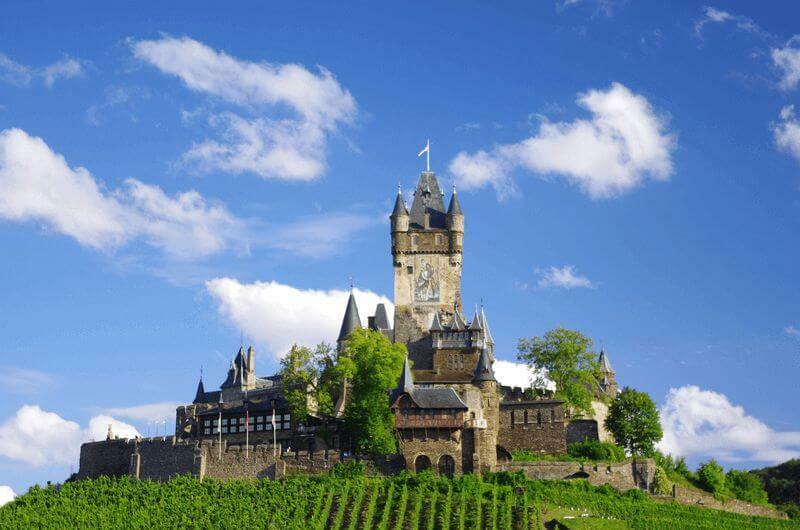 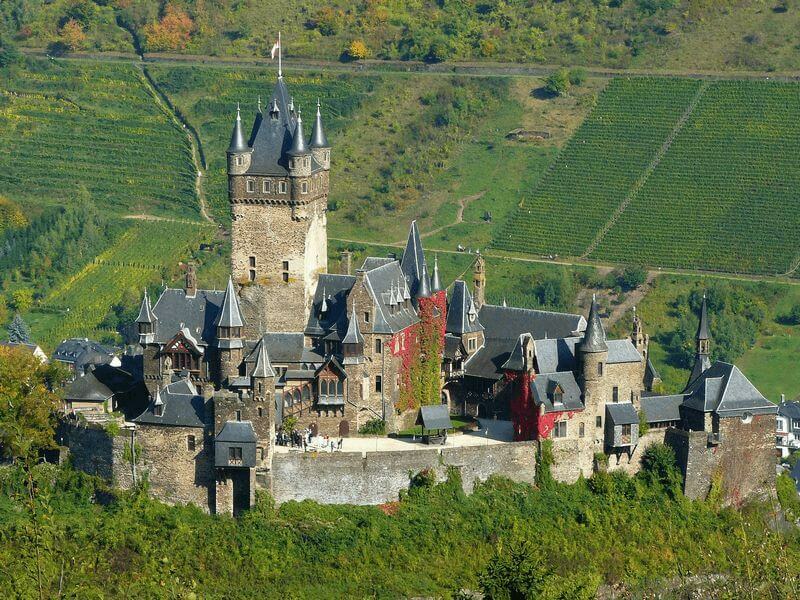 Highlights include the old castle of Ehrenbreitstein which dominates the right bank of the Rhine, the 12th century Alte Burg Castle and old Koblenz town. 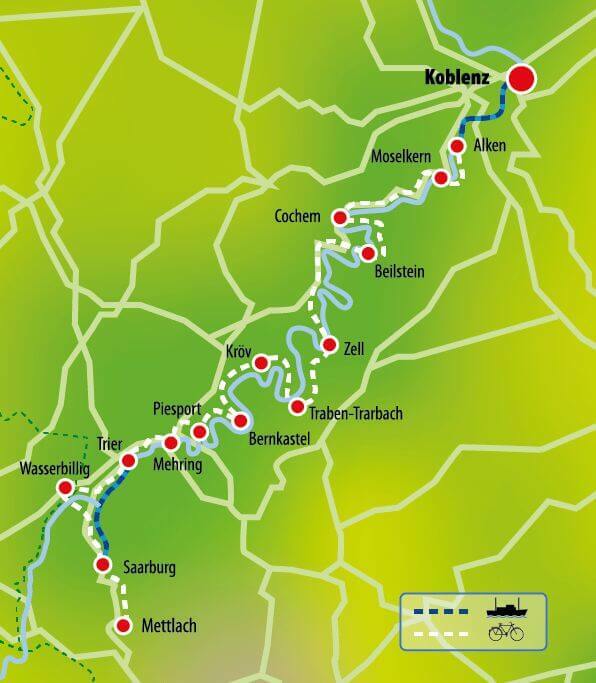 Bike routes / degree of difficulty: The quality of the bike paths is very good. 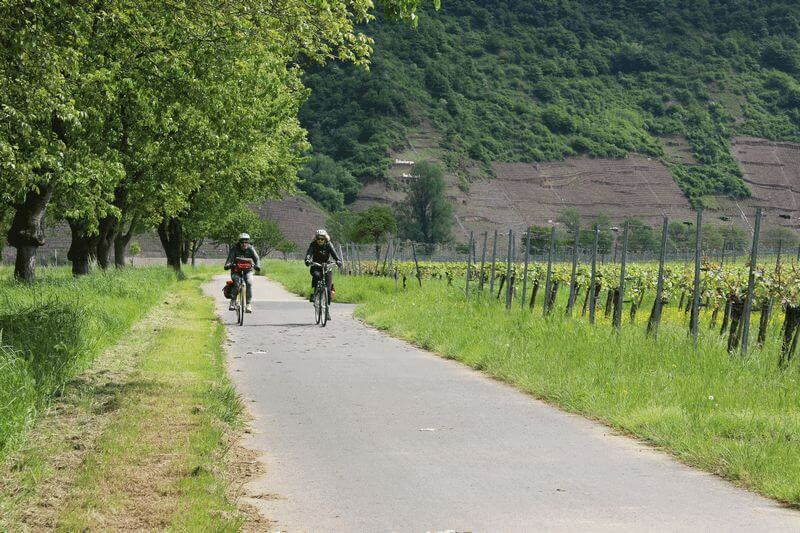 The Moselle cycle path runs mostly on paved or asphalted roads without significant gradients. 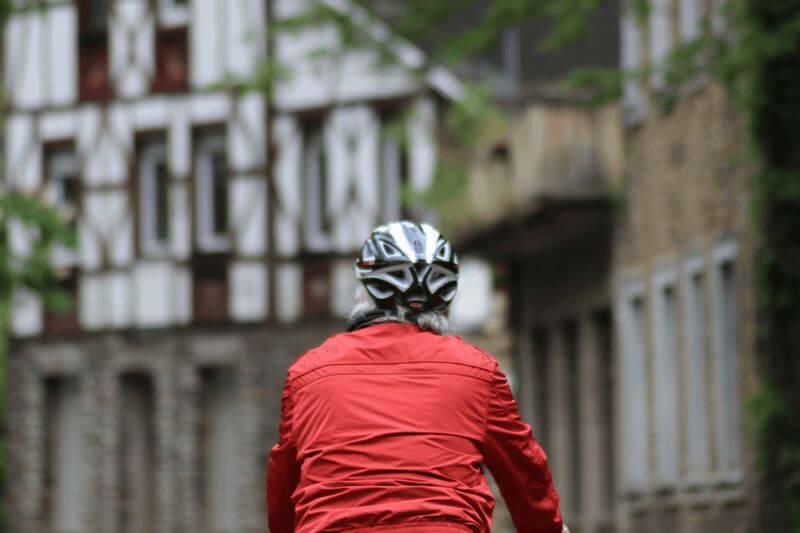 Therefore, this trip is also suitable for untrained cyclists. 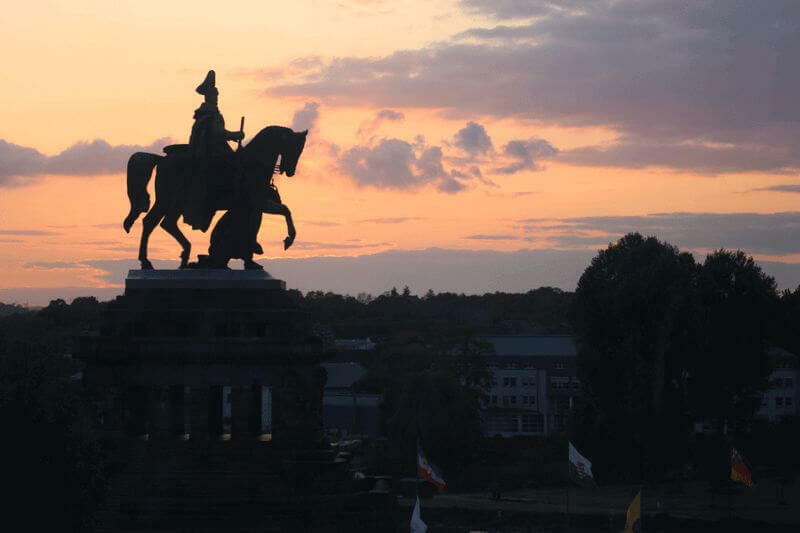 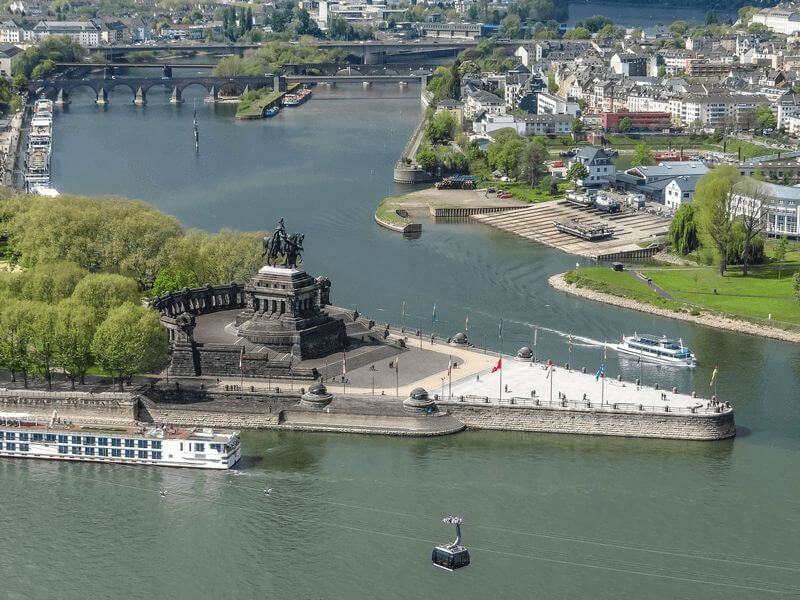 The Patria awaits you in Koblenz where the crew will welcome you on board from 4 p.m. You’ll spend your first night in this fascinating and historic city, an important defensive and economic center for centuries. 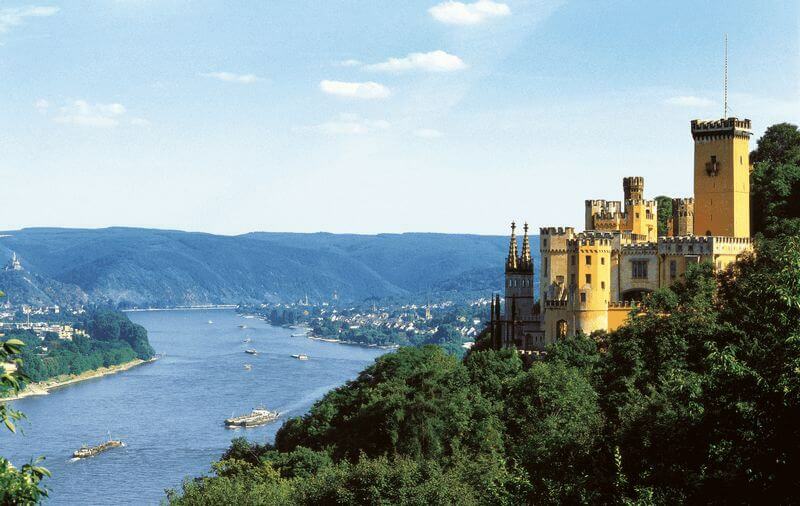 Highlights include the old castle of Ehrenbreitstein which dominates the right bank of the Rhine, the 12th century Alte Burg Castle and old Koblenz town. 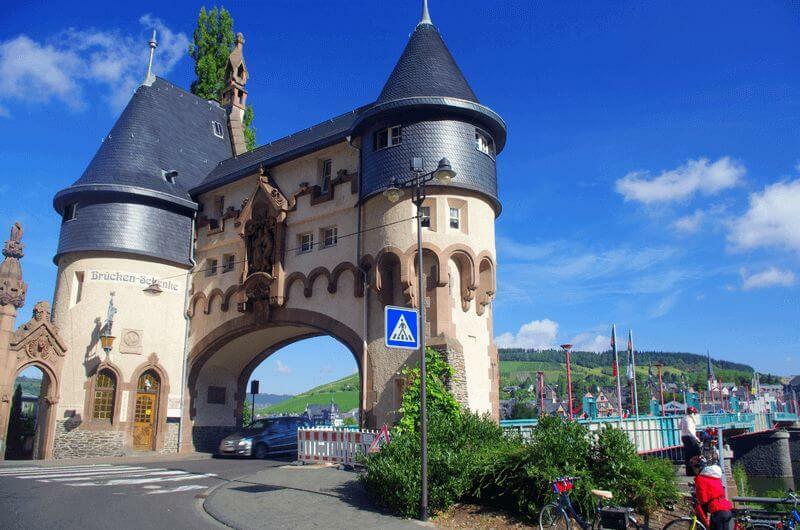 Your tour starts this morning as the Patria sails to Alken where, following the distribution of bicycles, you will start pedaling via Moselkern to Cochem, your destination for the day. 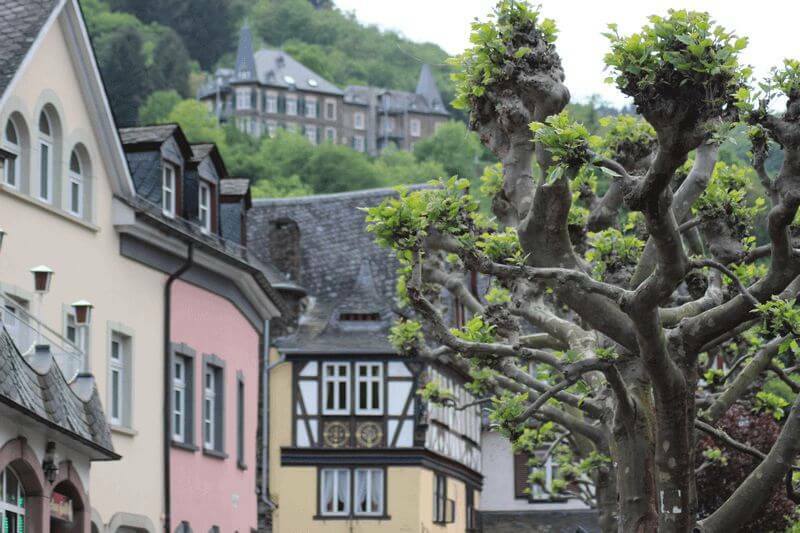 Cochem is a lovely little town that features historical half-timbered-houses, a picturesque old town and Reichsburg Castle. 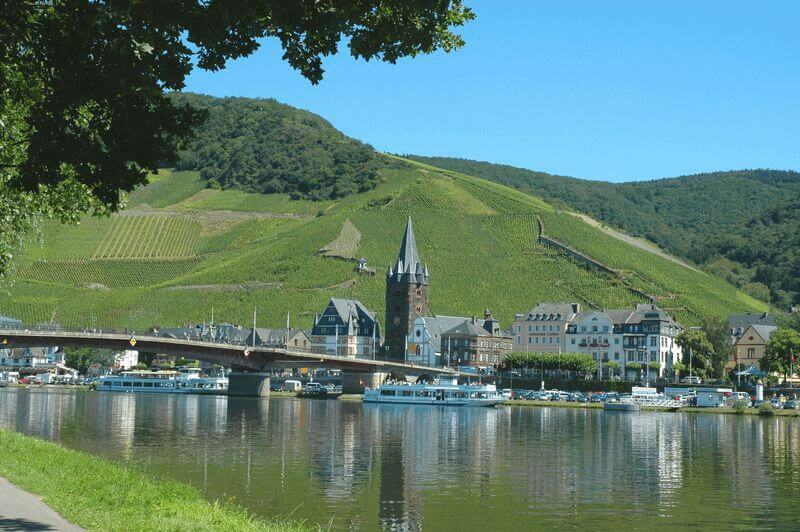 Today’s cycling tour is all about the history of wine growing along the Moselle. 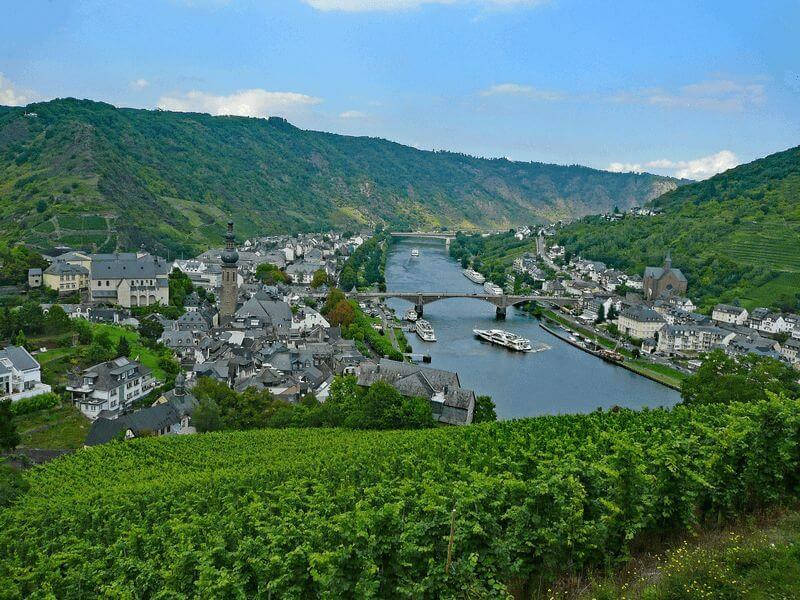 After breakfast you will cycle to Piesport, the oldest winegrowing community along the Moselle. 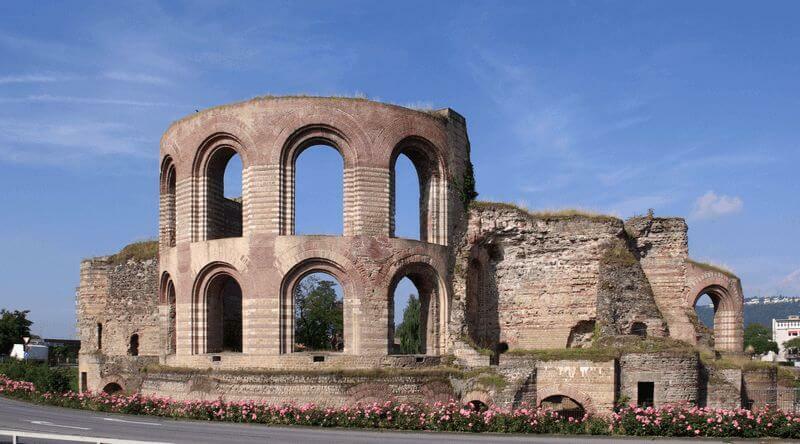 Here is the largest ever found Roman wine complex North of the Alps. 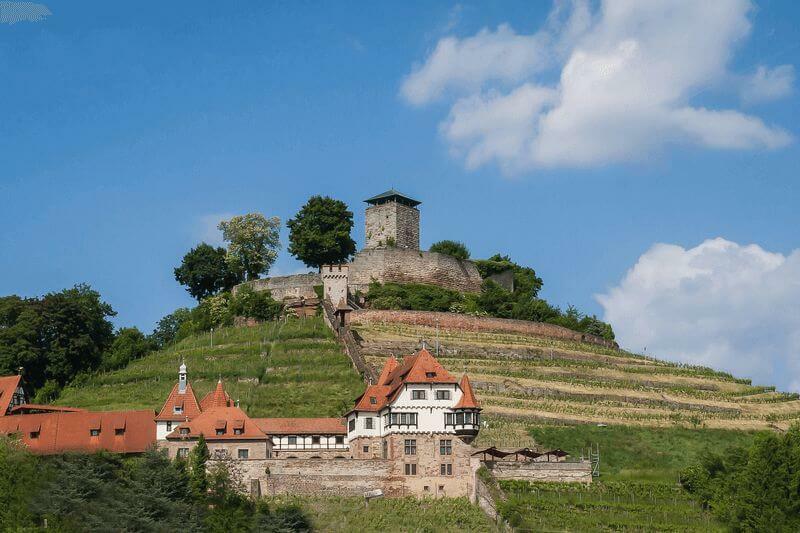 Later in the morning you will cycle to Neumagen-Dhron, widely recognized as the oldest wine growing city in Germany. 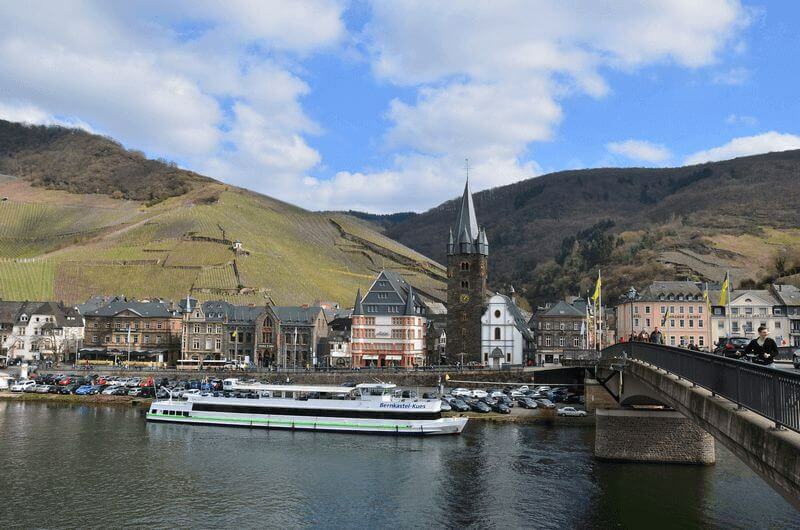 After the lunch break, the tour continues to Mehring, another village famous for its fine white wine, where your floating hotel will be waiting for you. 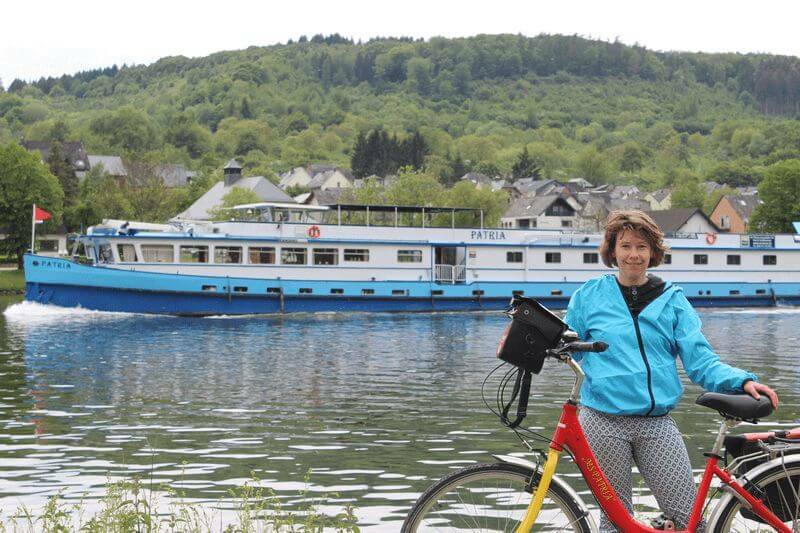 You will cycle via Pfalzel to Trier, where the ship is waiting for you. 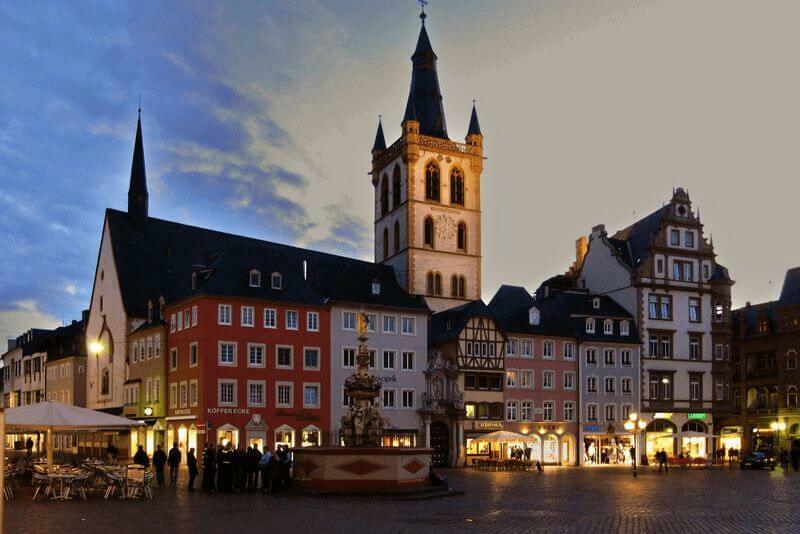 Trier is undoubtedly the historic highlight of the tour. 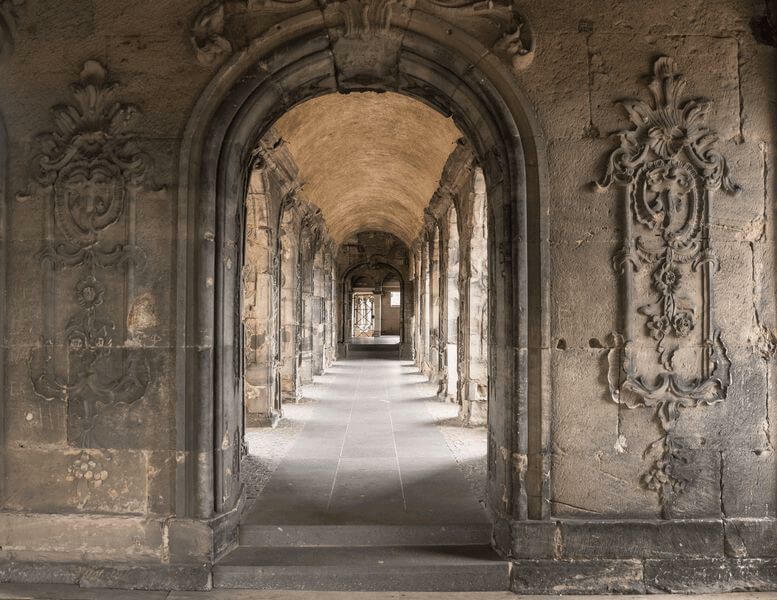 A walk through the 16 B.C. 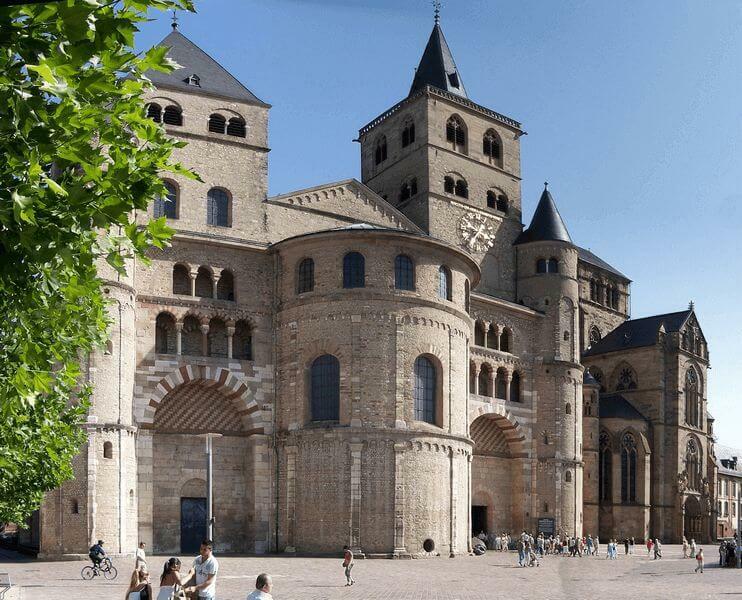 founded Trier is an overwhelming journey through the millennia, with no other place in Germany able to give you a better chance to experience the time of the Romans. 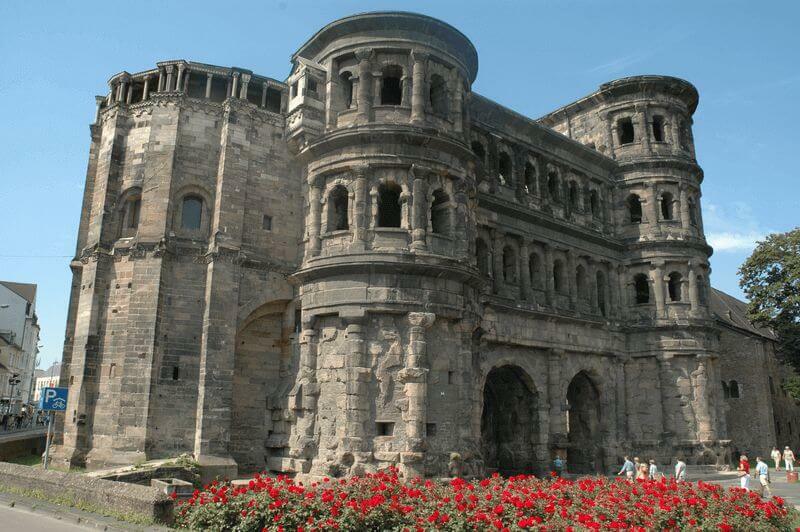 Highlights include impressive structures such as the Porta Nigra, the Konstantin Basilica and the Roman Amphitheatre. 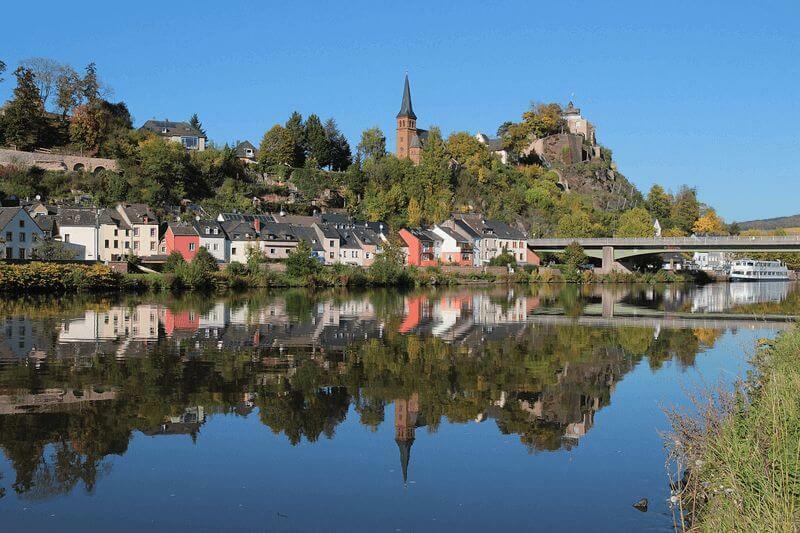 Today you will be cycling along the river from Trier via Wasserbillig in Luxembourg to Saarburg, also called “little Venice”. 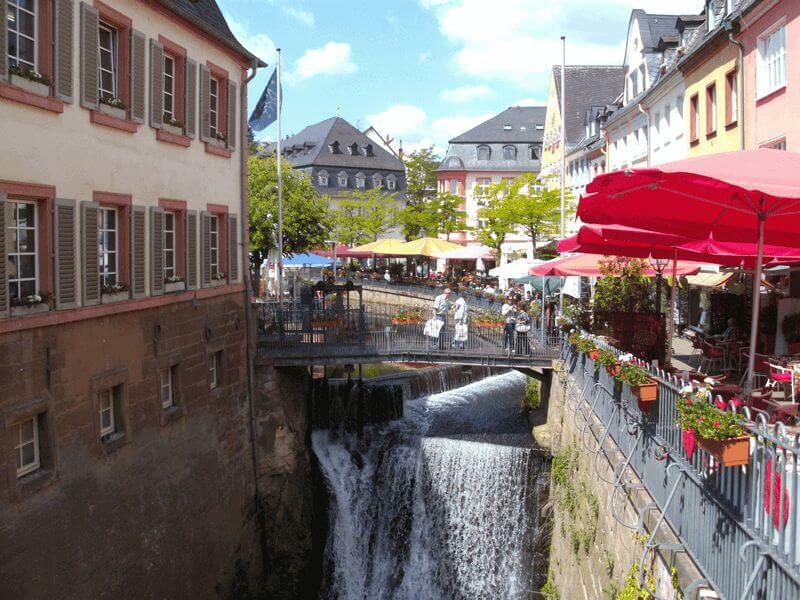 The cityscape is characterized by narrow streets, half-timbered houses, Baroque buildings, colorful fishermen and boatmen houses and ofcourse the waterfall of 20 meters deep. 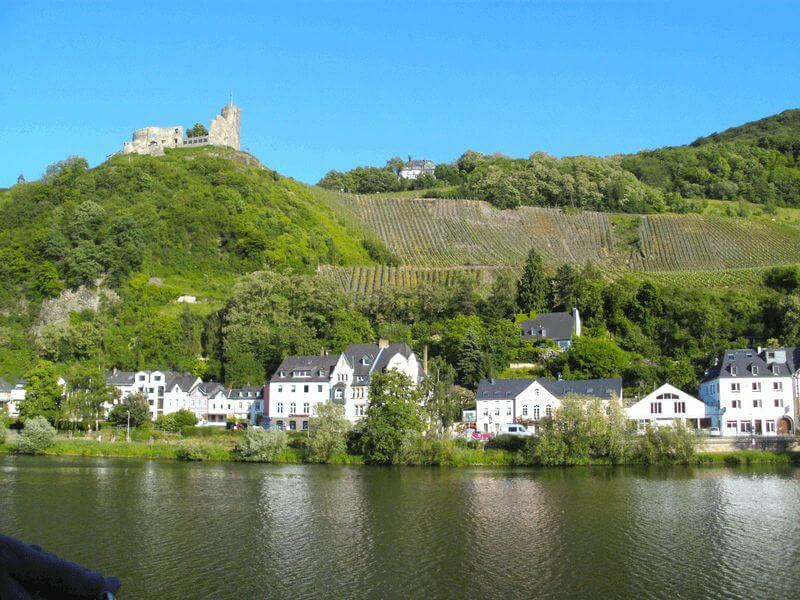 Between Saarburg and Koblenz by train (in 2 hrs. 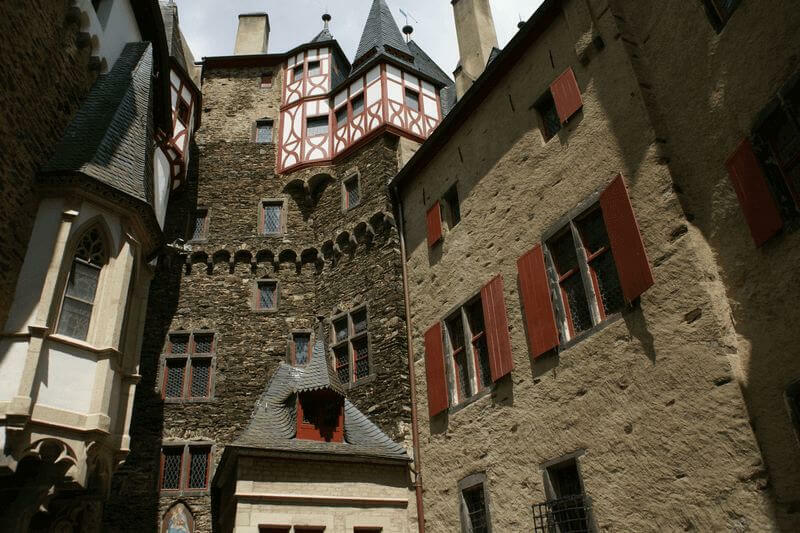 for about € 24 p.p., group tickets can be bought on board with the tour manager) or minivan as from 4 persons (approx. 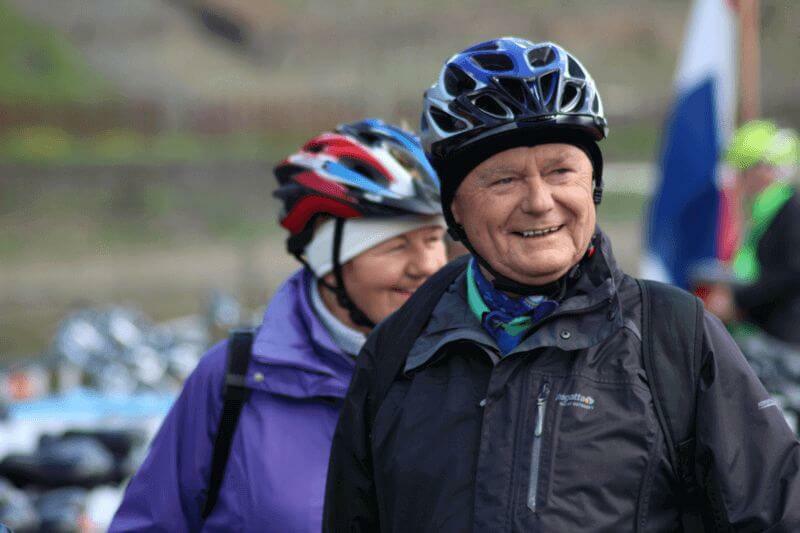 € 75 p.p., bike: € 15). 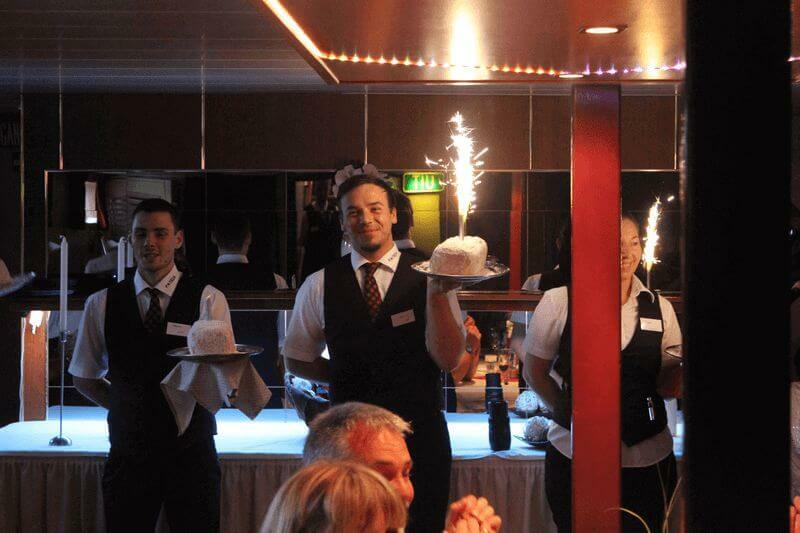 Limited number available, arranged by the tour manager on board, to be paid on site. 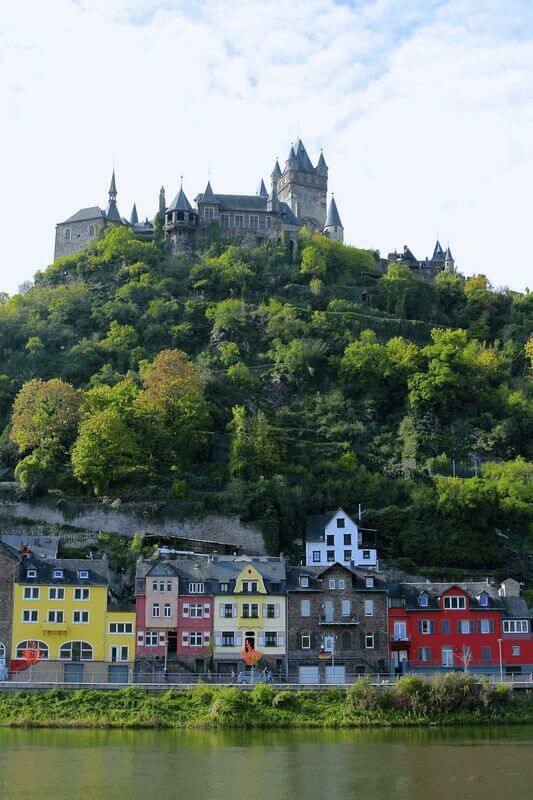 Very enjoyable. 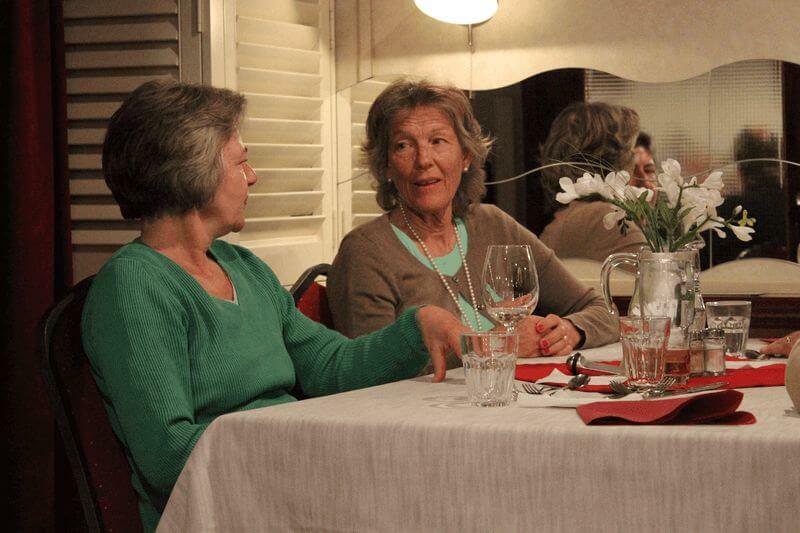 Relaxed and well organised. 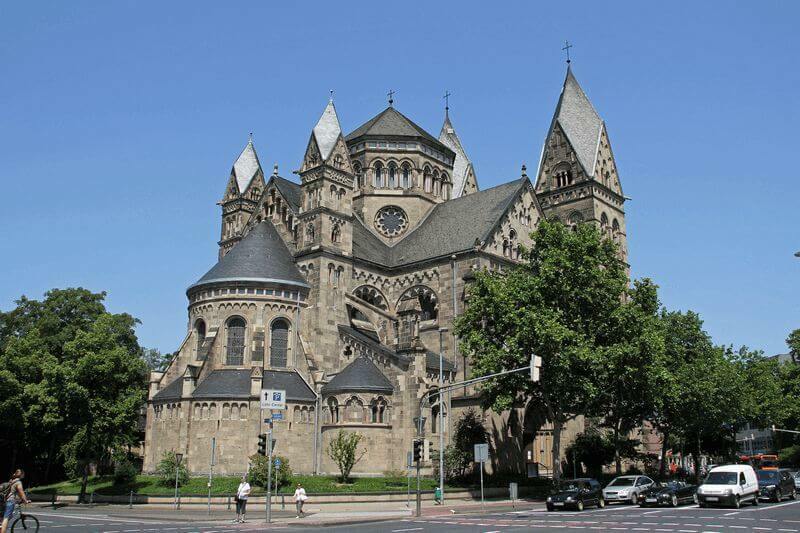 The only downsides were the by poor tour around Trier and a couple of days when the toilets smelt really bad on the lower deck. 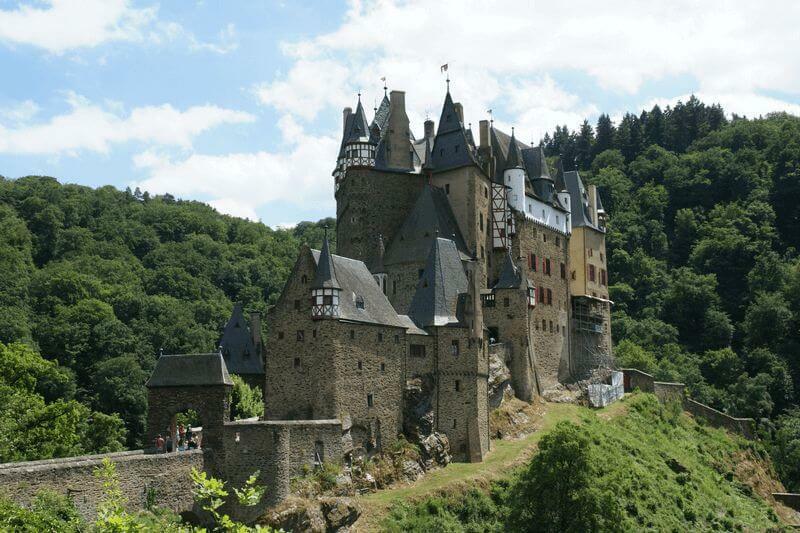 They did rectify this problem. 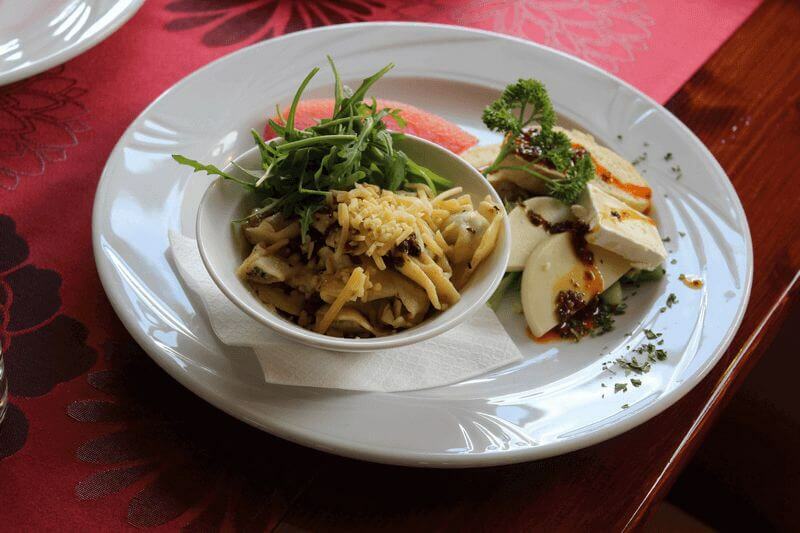 Food was good!